E-LIFE is a perfect addition for Sunday morning meetings, Sunday evening meetings, mid-week meetings and special activities. Implementing E-LIFE into your children's ministry is simple and completely customizable. You can use it as much or as little as you'd like, and everything you need is totally FREE! 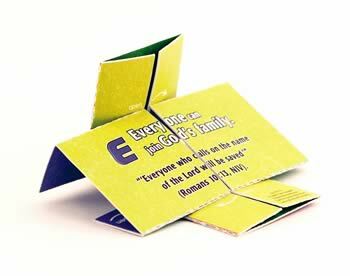 If possible, we suggest you first introduce E-LIFE after having dedicated one service/class to teaching the children about the life, death and resurrection of Christ and the plan of salvation to ensure every child has the opportunity to know Christ as Lord and Savior first and then be given the opportunity to share Jesus with others as an E-LIFE Kid. To learn more about the E-LIFE Theme Activities and how to implement them into your meetings, visit our page on How to Use the Theme Activities. Visit the Downloads page for FREE promotional and support materials, including certificates, videos, PowerPoint presentations and more. For some great tips on how to be a great E-LIFE Coach, visit our page on How to be an E-LIFE Coach.